Have you ever experience buying a piece of clothing that you keep on saving for a special day until it started collecting dust in your cabinet? It might be an exaggeration on the dust part but the thing is, I always find clothes that I bought and then ended up never worn because I already forgot about them. Say for example this romper. I bought this cute outfit years ago (good thing it still fits) and I thought I will be able to use it when my friends invite me to go out. I even imagined that I can wear it with a shirt and then style it using different accessories that I have. But that day never came. So from now on, I am going to make it a point that once I buy new items, I will wear it immediately even if my only itinerary for the day is have me-time at the mall. I will never let my clothes feel that they are neglected again haha! I wore it during my second day in Singapore, the day my very good friend Jonas, spent the entire day with me and gave me a tour of Marina Bay Area. 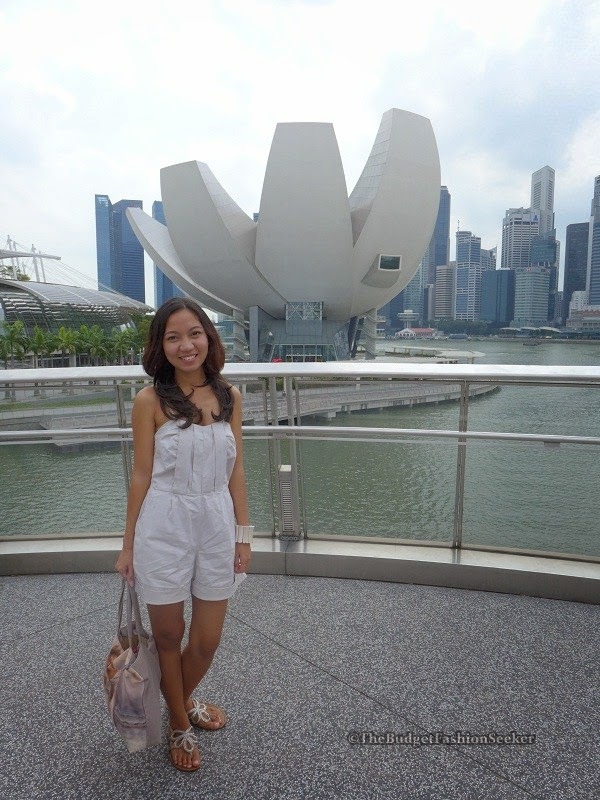 I planned on wearing comfortable clothes and sandals that day since I know that my schedule entailed a lot of walking. I was so grateful to Jonas that he freed his schedule for this and accompanied me even if it was hot outside. He was also the one who took all of my pictures (Thank you so much friend! I will really make it up to you the next time I visit). 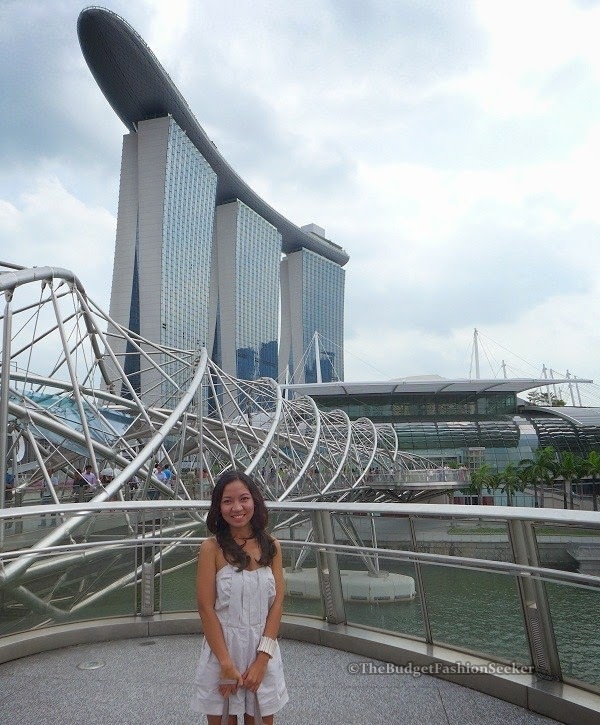 I had a lot of fun visiting the key places of Singapore that I only saw in photos before: iconic Merlion, Helix Bridge, Singapore Flyer and the Shoppes at Marina Bay Sands. I will definitely write a post about them so hope you watch out for that one. Have a great day everyone! Soo cute.. and your hair is long na rin.. So it means it's really been a long time sis,since the last time we met, OmG.. It looks really good on you! :D Love the look, really classy and simple!